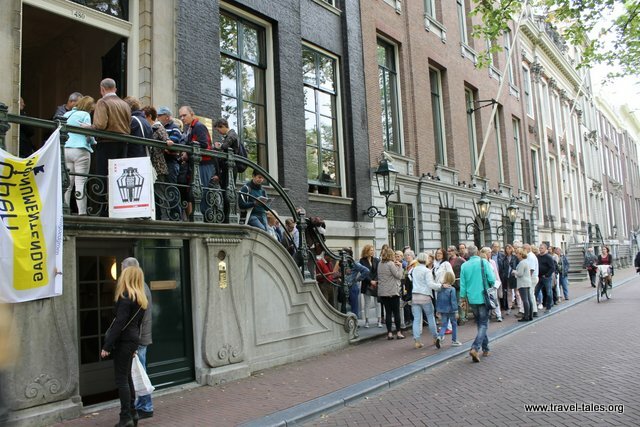 The second house I visited on Monumentsdag is the Huis Hammerstein. In contrast to the Makelaers Comptoir, which is a narrow one-room wide house, the Huis Hammerstein is five windows wide – the epitome of wealth on the Golden Bend. It is now home to the Hammerstein law firm. When I arrived, the end of the queue was on the steps, I took this later and am glad I hadn’t had to wait this long. The door underneath the steps is traditionally the servant’s door through which we exited the house. Only rooms on the ground floor was open to the public, the two on right of the building being quite spectacular. The painted ceiling in the front room depicts various mythological scenes also captured in the painting above the door. The curtains in both rooms are not original, they were acquired from a palace undergoing renovations. The back room was a dining room, now used for meetings and overlooks the garden. The desire for symmetry in the style of the house means that doors would be concealed on one side, although obviously a door on the other. 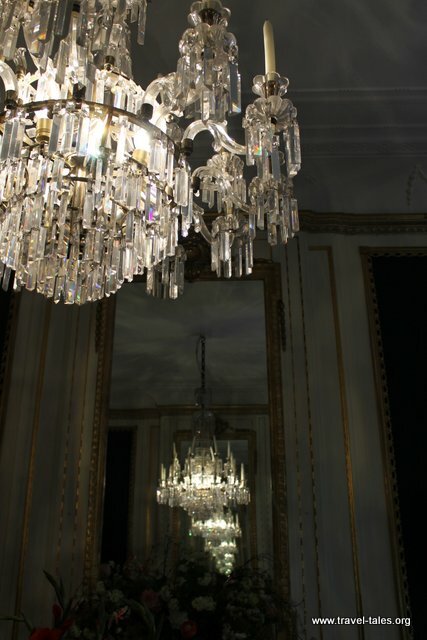 The chandeliers throughout the house were quite amazing. In the garden, the ‘shed’ has been fitted with the interior of a bar acquired from a client of the law firm. The later brick extension housing all the plumbing was also apparent.